The leading cash wedding registry in Canada. Get started now! With Zankyou you receive all guests' contributions in cash, and you can then transfer the money directly to your PayPal account to spend it on whatever you want. You can send thank-yous directly from your mobile, and also download a breakdown of the payments from your list. Discover the easiest, most elegant way of receiving gifts from your guests! We offer the best rates in the market. 100% cash: Each gift has a service cost of 2.95% + 0.99 CAD per gift paid. We guarantee 10 years of experience, with the best personalised service for you and your guests. 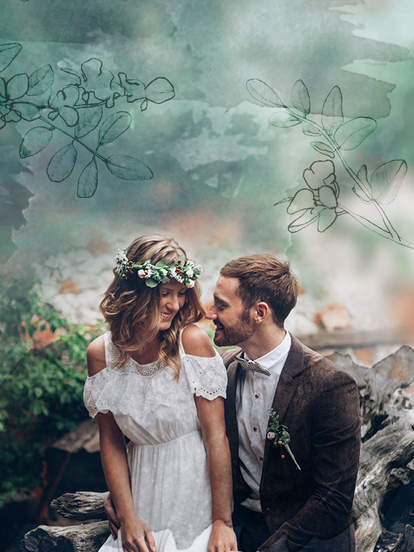 We are the only wedding portal recommended by couples from around the world at Trustpilot, where 9 out of 10 couples who have used Zankyou recommend us. April 22, 2019 | Coco Fennell's alternative dresses are sheer perfection for guests for the coming season. Flirty, fun and totally original, you'll wow in one of these incredible looks. Take a closer look and learn more about this up-and-coming British clothing designer now! Planning your wedding can be an immensely stressful time, and so it is always worth taking an evening off to catch up with the latest flicks on Netflix. We've compiled a list of our favorite wedding and romance-themed films for your perusal - so get the popcorn on, grab a bottle of wine, and relax! An excellent destination for your honeymoon, the magic of Mexico cannot be understated. Check out our guide on the best places to go for a vacation to remember! Wear the glamorous designs from the Maggie Sottero 2019 wedding dress collection, and shine on your big day.